Laid down, 11 July 1942, at Missouri Valley Bridge &, Iron Co.. Evansville IN. 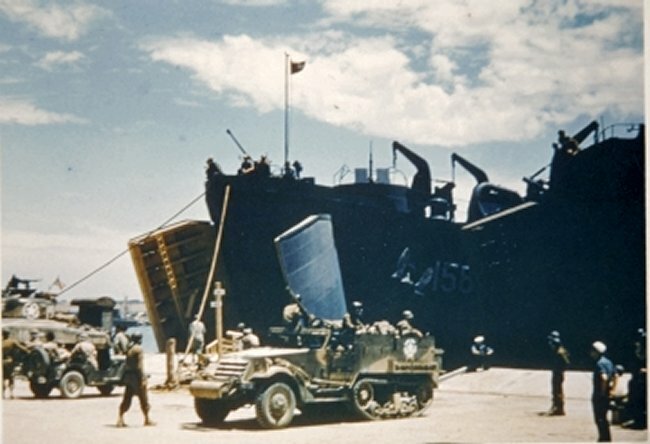 50k A half-track is being loaded on the nearest LST at Bizerte, as USS LST-158 also loads for the Sicilian occupation in July 1943. US Army Signal Corps photo. Ray Sullenberger, BM2, Sam Sullenberger, BMC, Verdell Jacobson, MoMM2, and Tommy Brown, survivors of the sinking of the LST 158. 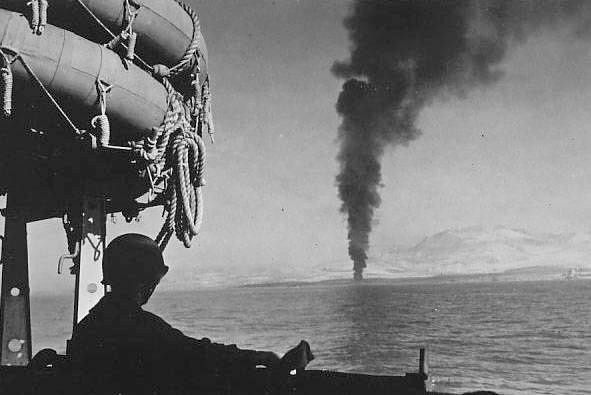 38k USS LST-158 burning in the distance after being fatally struck by a German aerial bomb off Licata, Sicily, 11 July 1943. Frame capture from the "Victory at Sea" series, Episode 14, "Roman Renaissance." 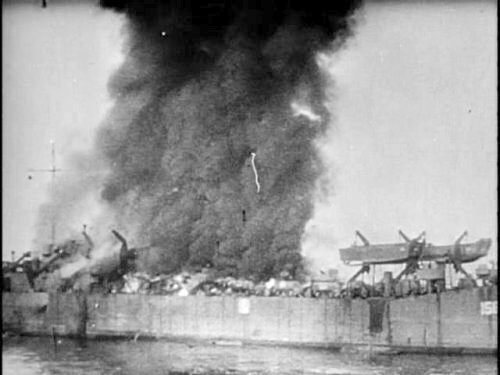 29k USS LST-158 burning after being fatally struck by a German aerial bomb off Red Beach, Licata, Sicily, 11 July 1943. 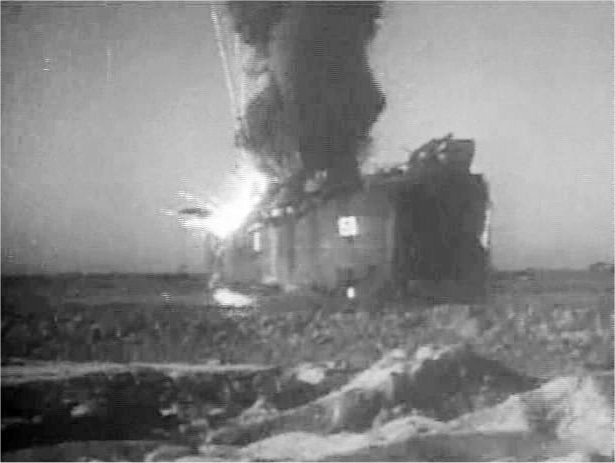 A vehicle on the main deck is exploding on the starboard side. Astern and to the port side, if you look closely enough, is an LCVP in the water that was probably manned by crewmen Verdell Jacobson and Tommy Brown. They picked up the Commanding Officer along with BMC Sullenberger. 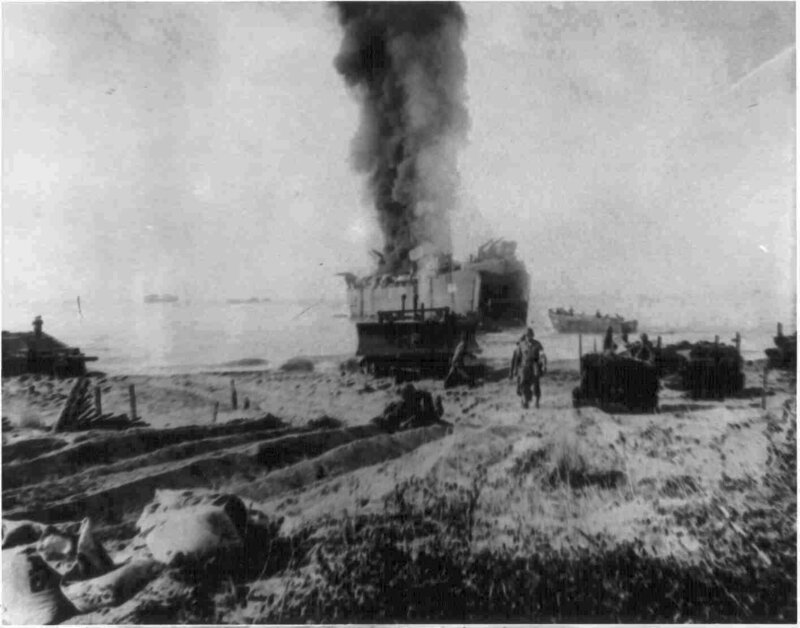 10k Another view of USS LST-158 burning after being fatally struck by a German aerial bomb off Red Beach, Licata, Sicily, 11 July 1943. This frame was captured from the "Victory at Sea" series, Episode 14, "Roman Renaissance" This colonized version of the picture was used in the History Channel's "Hero Ships - LST's" a few years ago. 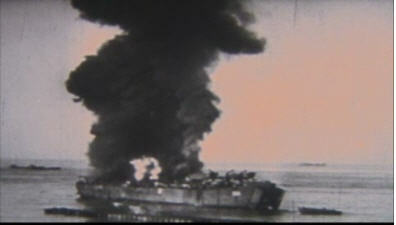 (Ironically, when this footage was shown on the history channel, the narrater was describing the bombing of USS LST-313 off Gela. 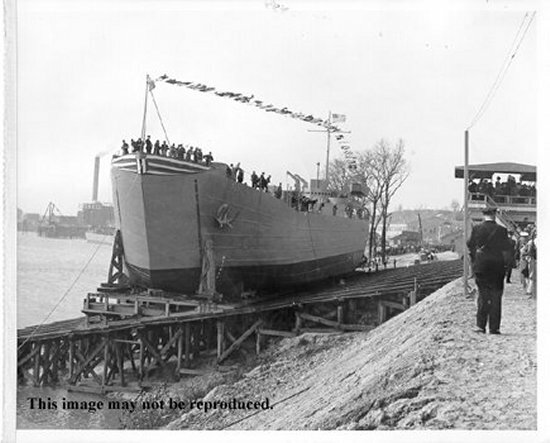 LST-158 was never mentioned. Paul Sullenberger for his father Sam Sullenberger BMC, USNRUSS LST-158, USS LST-492, USS LST-512 and his brother Ray Sullenberger, BM2. 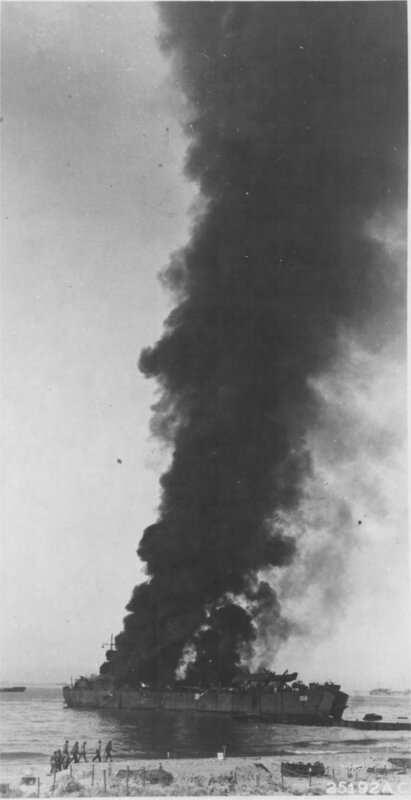 94k USS LST-158 burning after being fatally struck by a German aerial bomb off Red Beach, Licata, Sicily, 11 July 1943. This "Life" magazine photo was sent to Sam Sullenberger in 1993 by Tommy Brown, who was in the LCVP that most likely rescued Sam Sullenberger when he abandoned ship. This one is submitted for Tommy Brown, Verdell Jacobson, and Sam and Ray Sullenberger. Photo ©"Time-Life Inc. Paul Sullenberger for his father Sam Sullenberger BMC, USNRUSS LST-158, USS LST-492, USS LST-512, Ray Sullenberger, BM2, Tommy Brown and Verdell Jacobson. 858k Another view of USS LST-158 burning after being fatally struck by a German aerial bomb off Red Beach, Licata, Sicily, 11 July 1943.